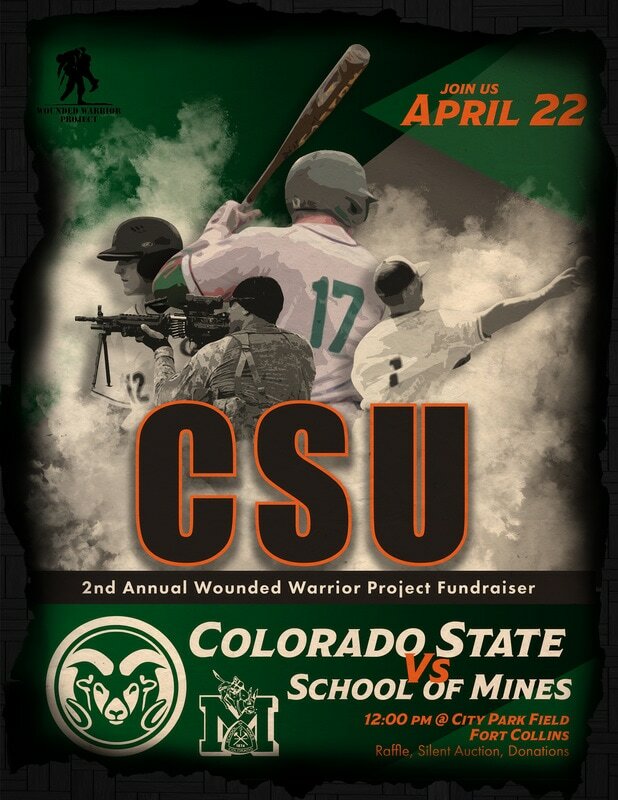 CSU is proud to announce we are having another Wounded Warrior Game to benefit the Wounded Warrior Project. We will be honoring our veterans with ceremonial first pitches, and will have raffle items donated from local businesses. All proceeds from the raffle will go directly to the Wounded Warrior Project. We look forward to seeing you on April 22nd as we take on Colorado School of Mines at City Park.